The SongPicker has been completely redesigned. It shows information for up to 50,000 songs. 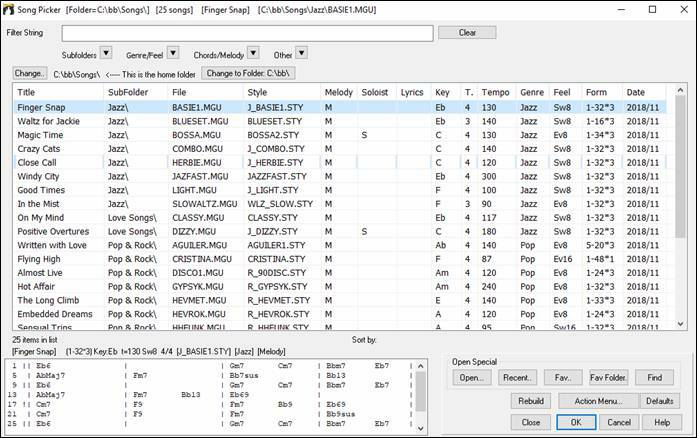 There are many filter features for finding songs. 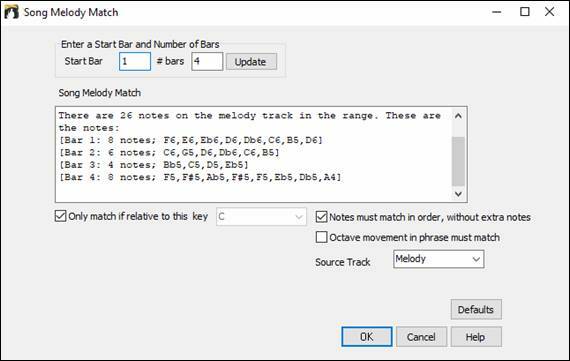 You can also search songs that have similar chord progressions or melody fragments. On the large toolbar, press the the large Song button. 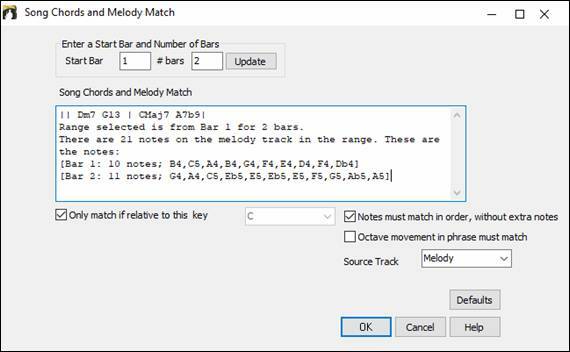 On the small toolbar, press the a small button of two notes. This will launch the SongPicker. 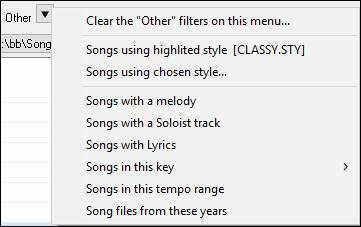 If the song list build is taking more than 3 seconds, you will see the progress at the top of the window. 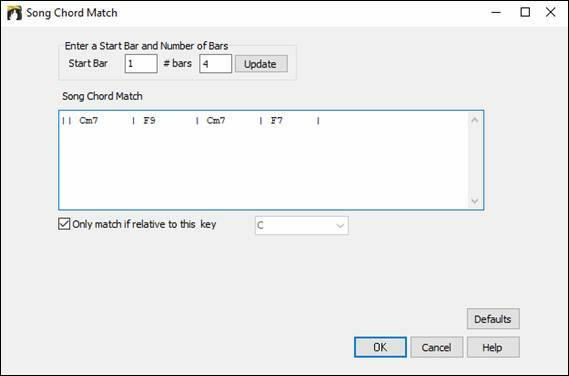 TimeSig - The number shown is the numerator of the time signature, so “4” means the song is in 4/4 time and “3” means it is in 3/4 time. 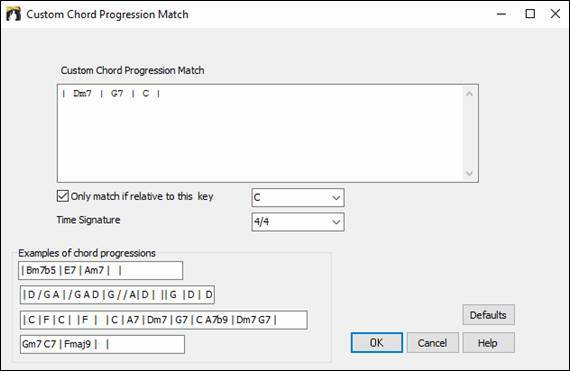 In the Song Chords and Melody Match dialog, select the source track (Melody or Soloist) and specify the range. 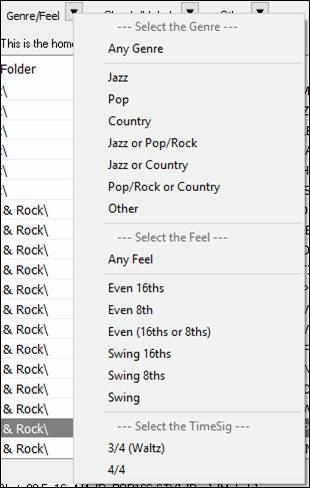 There are more buttons in the SongPicker for opening and finding songs. 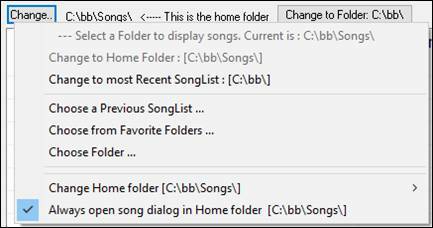 Press the [Rebuild] button to rebuild the song list for the current folder. 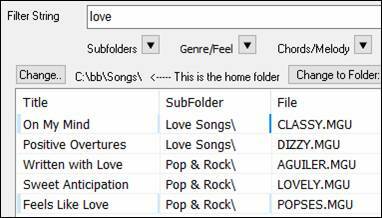 The song list build very fast; approximately 150 songs will be processed per second.